Both teams are fighting to avoid relegation here, and a win would be a massive boost for either team, and I expect this match to be quite entertaining and see great chances for both teams scoring here. 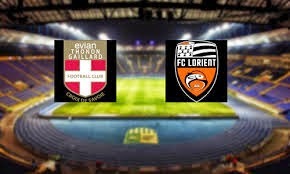 Evian have scored in eight of their last ten home matches, while Lorient have scored in eight of their last ten away matches. Three of their last four meetings have ended with both teams have scored, and with the current situation in the league and their current form I believe the same will happen here.